5) integrate knowledge from the basic and quantitative sciences to build the foundation for critical thinking and academic success in the health professions. The curriculum incorporates interprofessional education competencies and leadership as foundational elements which are threaded throughout all courses and experiences. A typical week will include team building exercises, simulation/ roleplaying, basic science and quantitative courses, wellness activities, academic strategies, leadership development and clinical experiences. Underlying these activities are Critical Analysis/Reasoning and Life Management Skills that will increase resilience, conﬁdence, and engagement in work. Teaching/Learning Modalities have incorporated e- learning, large group and small group interactive sessions, team-based learning (TBL), case-based discussions, tutorials, and labs. Scholars will learn about, from, and with each other in simulations and clinical experiences that enable effective collaborations and improve health outcomes. Courses include: Organic Biochemistry, Physics/ Calculus, integrated Anatomy and Physiology, Introduction to Biochemistry and Biostatistics. Health Equity, Social Justice and Health Policy Course is a key foundational interprofessional course that will inspire and mentor future social justice champions and leaders in modern clinical services and health equity research. Emerging Issues in Healthcare include presentations by the various health care professionals such as alumni, and transplant and palliative care teams that are models for interprofessional collaborative care. For credit options are available. Other program related activities include course reviews by teaching assistants, library skills, stress management, self-care and wellness, networking social activities and a ﬁnancial literacy and planning workshop. 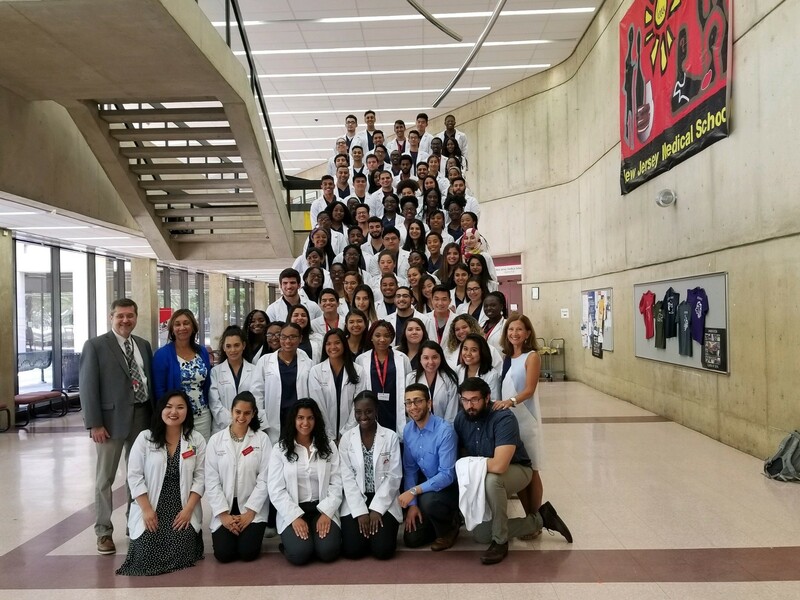 Scholars will also participate in the Building Next Generation of Academic Physicians (BNGAP) program which is tailored for undergraduates and expanded to be interprofessional in scope. This one-day conference includes leadership development, mentoring, and scholarship as core components underscoring the importance a diverse academic workforce has on achieving health equity. Clinical Experience: Key activities include Career Development Sessions and Clinical Exposure with an emphasis on settings that are models of interprofessional care such as a nurse managed interprofessional collaborative practice and a federally qualiﬁed health center (FQHC. The IPCP model includes faculty from RSN, NJMS, School of Social Work, EMSOP and School of Health Related Professions’ Physician Assistant and Respiratory Therapy programs. In addition, EMSOP has created unique practice models in emerging areas of pharmacy practice such as transitions of care, ambulatory care, and integrated health homes. Meals: $300 stipend will be issued to cover breakfast and lunch; dinner is provided at Rutgers University, Newark five days a week and is fully subsidized by the program. Travel Assistance: To be considered for travel assistance, scholars must live more than 200 miles from SHPEP site for air travel and more than 100 miles away for partial reimbursement of car or bus travel. Stipend: A $600 stipend per scholar will be distributed in three installments. Housing: Rutgers University Square Apartments, 155 university Avenue, Newark, NJ Rutgers. Health Insurance: Scholars are required to provide their own health care insurance. In the event of an emergency, we will provides services either through the emergency department or our walk-in clinic. Social Activities: Scholars will be provided with information regarding the many free social activities in the downtown Newark area, the option of going to a theme park, participate in volley ball games and attend a cook-out at NJMS.